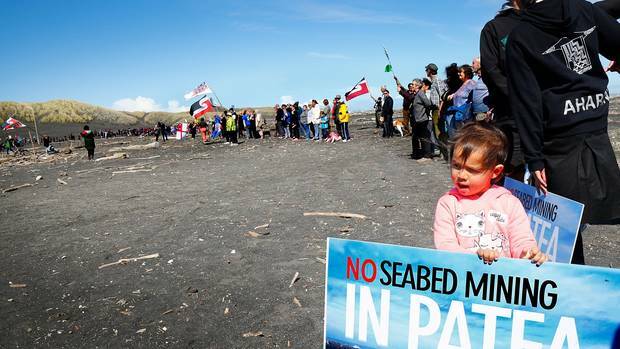 Revelations that the Government used private investigators to spy on protesters opposing Trans-Tasman Resources’ (TTR) seabed mining application have provoked outrage. And one the groups targeted, South Taranaki iwi Ngāti Ruanui, is calling for a review of New Zealand Petroleum and Minerals, the government body that manages oil, gas and minerals and issues permits for exploration. A bombshell report last week, following an inquiry by the State Services Commission, laid bare Government monitoring of groups seen as “security threats”, often through the use of private investigation firm Thompson & Clark. The security company was given the profiles and newsletters of groups opposing oil and gas exploration and ironsand mining, such as that sought by TTR – and Ngāti Ruanui was one of the main opponents. 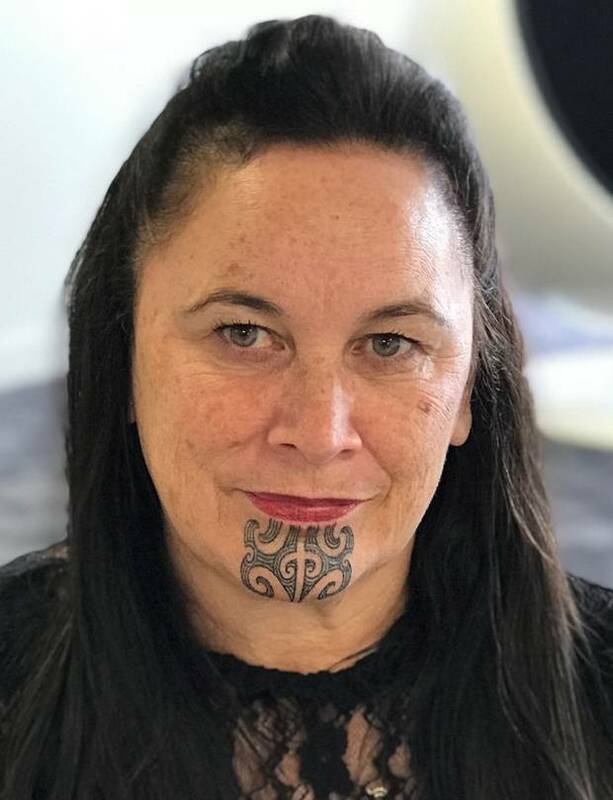 “The report says we were monitored and the only other word for that is spying,” Te Rūnanga o Ngāti Ruanui chief executive Debbie Ngarewa-Packer said. The iwi is making an Official Information Act request for more information and may make a formal complaint, referring to the spying as “corrupt practices”. Ngarewa-Packer said the iwi was “outraged but unsurprised” to discover the Government had used private investigators to spy on them. The 150-page State Services Commission report shows “issue-motivated groups” such as the Ngāti Ruanui iwi were treated as security threats by several government departments. It says the Ministry of Business, Innovation and Employment (MBIE), which is responsible for NZ Petroleum and Minerals, breached its code of conduct by failing to maintain an appropriate level of objectivity and impartiality. The inquiry uncovered system-wide failings across the public service, including a pattern of behaviour where public servants developed inappropriately close relationships with Thompson & Clark. The monitoring started during Helen Clark’s Labour Government, with one instance in 2002, but Ngarewa-Packer said it ramped up during the last National-led Government when Simon Bridges was Energy and Resources Minister. In 2015 he put up the “largest ever” block offer for oil and gas exploration. New Zealand Petroleum and Minerals was making “a huge effort” to bring business into the country. Asking for opposing groups to be “monitored” called into question every decision it has made during that period, Ngarewa-Packer said. She said MBIE’s poor regulatory practice and bias toward iwi and stakeholders meant the ironsands exploration process “was undermined from the start”. The South Taranaki tribe was one of a number of groups opposing the ironsand mining application by TTR. During the mining proposal hearings, its people felt their concerns were ignored and officials were biased. It seemed paranoid at the time, but Ngarewa-Packer now believes that treatment was part of a prevailing behaviour and culture. State Services Commissioner Peter Hughes said last week that new standards would strengthen transparency and consistency across government agencies. “Any decision to use surveillance requires careful judgment,” Hughes said. “It must be lawful, it must be proportionate, and it must be ethical. “It is never acceptable for an agency to undertake targeted surveillance of a person just because they are lawfully exercising their democratic rights – including their right to freedom of expression, association and right to protest. 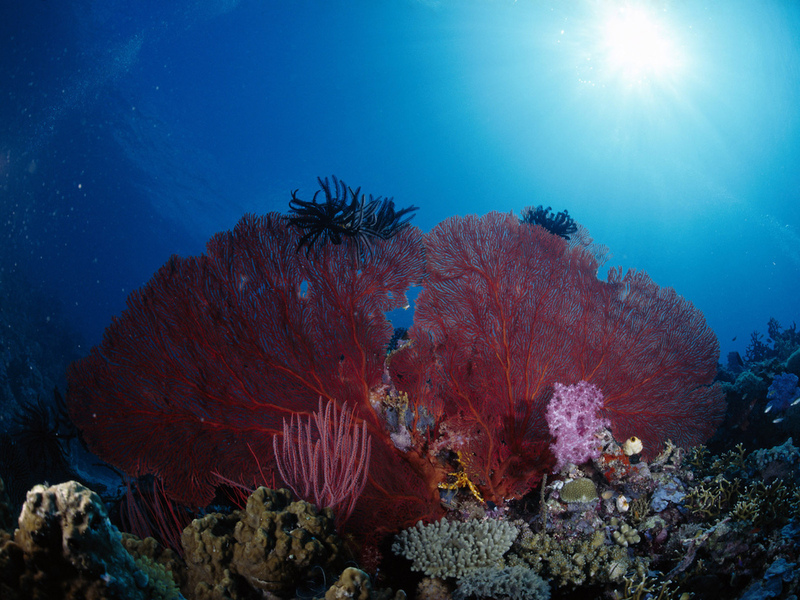 Marine life in Papua New Guinea. Image by martinnemo via Flickr (CC BY 2.0). In 2011, Nautilus Minerals was granted a license to mine precious minerals from the seabed off the coast of Papua New Guinea, the first project in the world to gain deep-sea mining rights. Nautilus said the project would be less destructive than land-based mining, but met with protests due to the potential impact on the complex deep-sea ecosystems as well as coastal communities. A year ago, Nautilus failed to make a payment on a specialized ship being built for the project. Now the ship has been sold to another company, making it unlikely Nautilus will be able to fulfill its mining ambitions. An ambitious plan to mine precious minerals from the ocean floor off the coast of Papua New Guinea looks to have run aground due to the developer’s financial problems. 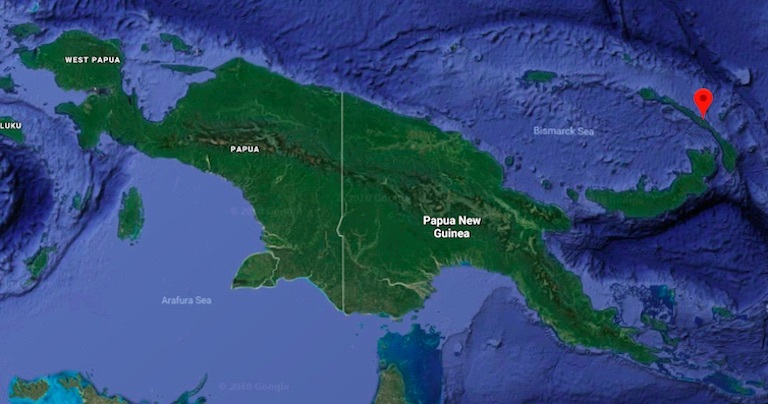 In 2011, the government of Papua New Guinea granted Canada-based Nautilus Minerals a 20-year mining license covering roughly 500,000 square kilometers (193,000 square miles) of the Bismarck Sea, off the country’s eastern coast. The Solwara 1 project was the first in the world to be granted rights for deep-sea mining, whereby enormous machines would dig into the ocean floor, harvesting zinc, copper and gold, and other commodities essential to building electrical equipment. The Papua New Guinea government took on a 15 percent equity stake in the venture with Nautilus, but repeatedly delayed payments as its politicians and citizens protested against the environmental impact of the project, as well as the substantial cost to taxpayers. In the meantime, Nautilus suffered numerous additional setbacks, including a shortage of investors, a declining credit line, and the decision by multinational mining firm Anglo American to divest from the company. Now, the company has lost a ship essential to its deep-sea mining plans. Nautilus chartered Emirati shipping operator MAC Goliath (MAC) to oversee construction of a production support vessel (PSV) designed to collect the extracted materials via pumps from the seabed. This vessel is essential to the entire operation. The ship was being built at the shipyard of Fujian Mawei Shipbuilding in southern China. In December 2017, MAC missed a payment to the Chinese builder, which Nautilus was also unable to cover. At that point, the vessel was about 70 percent complete. Late last month, news broke that because of financial woes and missed payments, the shipbuilding company had found a new company to take over the vessel’s construction contract: an Indian firm that is also planning to engage in deep-sea mining explorations on behalf of the Indian government. Fujian Mawei Shipbuilding announced that the vessel had indeed been sold to the Indian firm, MDL Energy, although Nautilus reportedly thought negotiations were still ongoing. There are reports that Nautilus is attempting to seek new investment so it can reclaim the vessel, but the Chinese shipbuilder maintains that the ship has already been sold. Residents of New Ireland province, which lies in the northeast of Papua New Guinea, feared Nautilus’ deep sea mining project could have impacts on coastal marine life. Image courtesy of Google Maps. It’s not clear how Nautilus will proceed from here, though it appears almost impossible that it will be able to build another tailor-made vessel from scratch, given the firm’s current financial situation. On Dec. 14, the company announced it had received a new loan worth $455,000; the unpaid installment on the PSV exceeded $18 million. 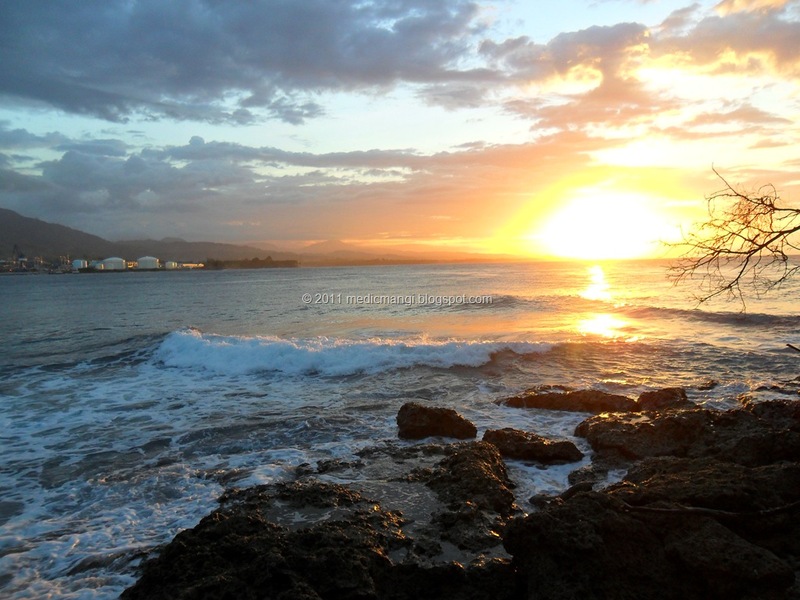 “It will be good news for my people if Nautilus goes bankrupt, instead of bankrupting our sea. We will fight this project to the very end,” Jonathan Mesulam, from the Alliance of Solwara Warriors, a community-based organization that opposes the project, said in a press release. The Solwara 1 project planned to harvest mineral deposits found near seabed hot springs, or hydrothermal vents. Doing so, opponents said, could have had grave effects on rare deep-sea ecosystems. Nautilus commissioned several environmental impact studies before it was granted the mining license in 2011. “The overall conclusion is that Solwara 1 has the potential for far fewer social and environmental impacts than the existing terrestrial mines examined,” reads one report it commissioned, written by U.S.-based consultancy Earth Economics. Opponents of the project dismissed these studies as unsatisfactory and misleading, warning that since the Solwara 1 project was the first of its kind and would rely on as-yet-untested technology, it was too soon to say that it would definitely be safer than onshore mining. Moreover, they said the project would almost certainly destroy thousands of hydrothermal vents, each of which is host to complex ecosystems — and possibly species not yet identified by scientists. 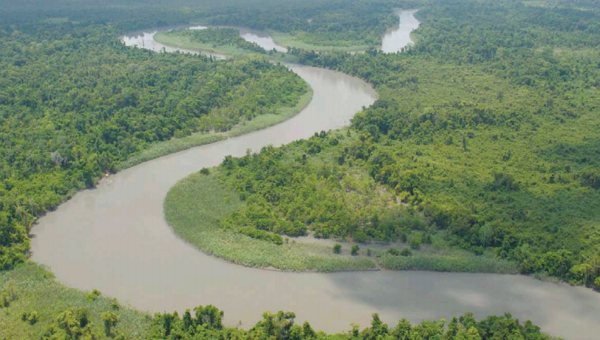 Others critics warned that because the proposed extraction site lies only about 30 kilometers (18 miles) from the mainland, it could affect coastal ecosystems and, by extension, the livelihoods of fishing communities on Papua New Guinea. While the likely demise of Solwara 1 is considered a victory by environmentalists and some residents of Papua New Guinea, the financial problems facing Nautilus are far from advantageous for the poor Pacific nation. Arnold Amet, a former attorney general, said in a recent press release that because his country had purchased a 15 percent stake in the venture, it would also be responsible for 15 percent of payments to creditors if Nautilus went bankrupt. “I have been warning our Government publicly and privately about the financial mess they will find themselves in when this experimental company fails,” he said. It’s not clear whether Papua New Guinea will manage to escape this financial burden. Opponents of the project say the government should now annul the concession and cancel all of Nautilus’s permits. But this may not be the end of the region’s underwater mining saga. DeepGreen, a new deep-sea mining venture founded by Gerard Barron, an Australian entrepreneur who was also the first financial backer of Nautilus (he sold his shares in 2007), is reportedly exploring mining possibilities off the shores of Nauru, a nearby Pacific island. Unlike Nautilus, DeepGreen aims to mine materials from the ocean shore by simply hoovering it up, rather than digging into volcanic rock, ostensibly a less environmentally harmful method of extraction. If Nautilus is unable to fulfill its concession in PNG, then it is possible DeepGreen will fill Nautilus’ shoes as the pioneer of deep sea mining in the South Pacific. 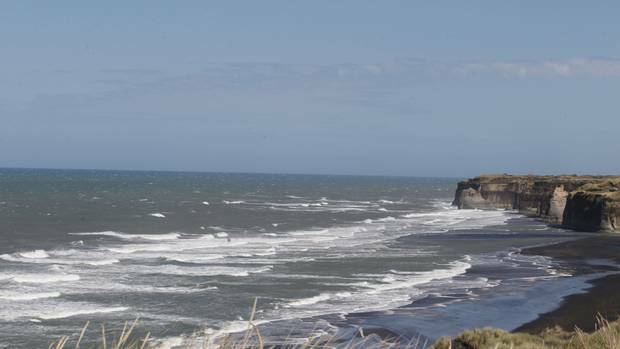 Trans-Tasman resources want to mine ironsand off the coast of Patea. Trans-Tasman Resources has been given leave to appeal the overturning of its seabed mining consent. Leave was granted by the Court of Appeal last week, following an application by the mining company in September. TTR is seeking to mine ironsand in the South Taranaki Bight, and it applied to the Environmental Protection Agency to take 50 million tonnes of ironsand a year from the seafloor between 22 kilometres and 36km off Patea to export to Asia. The agency gave its consent in 2017, but opposition groups of environmentalists and iwi appealed that decision to the High Court which quashed the consents in August this year. This week TTR said its appeal would be based on the view that the agency followed a legally correct approach in granting the consent to TTR, including conditions specifically designed to protect the marine environment and existing interests, particularly iwi. The Morobe Coastal Solwara Association has applauded the stand by Morobe Governor Ginson Saonu against dumping of mine tailings into the sea. President Kamong Mazzewin said although Wafi-Golpu Mine Project brings exciting opportunities in benefits for the province and country, it must not be forgotten that someone has to pay the price. “Governor Saonu’s statement made a huge difference for our children’s future. Five maritime districts of Morobe will pay the price of waste tailings effect,” he said. Mr Mazeewin said he can’t remember whether there is a record of consultation by the developer MMJV among all the five districts in the province from Morobe south coast, Huon Salamaua, Huon Labu Wampar, Lae coastal villages, Nawaeb Labuta, Yabim, Finschhafen Urban and Tewae- Siassi. “There has been one consultation meeting by developer held at Sipaia Wagang village and this does not represent all coastal villages in the five districts,” he said. Mr Mazzewin, an engineer by profession, said the proposed method to be used in pumping the solid tailings into the sea may not the best option. He said while the solid tailings can easily settle, the finer tailing particles that might not be easily pumped down into the deep could easily float or resurface onto the upper body of water that are easily affected by the disturbing shifting currents around Huon Gulf. “There has to be a way to dump waste tailing, maybe by building land tailing dam as suggested by Governor Saonu,” he said. He said arrangements will be coordinated by the Morobe Coastal Solwara Association executives and the office of the Governor of Morobe. 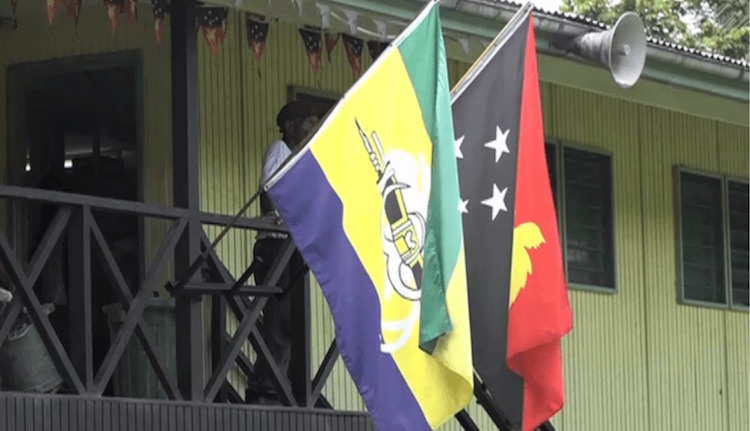 “A further call is extended to all Morobe coastal elites around Morobe, PNG and overseas to garner support to the cause,” he said. Governor Saonu has raised concerns about the environmental effects of the proposed dumping of Wafi-Golpu mine tailings into the Huon Gulf. He supported coastal villagers of Morobe from the northern part who will be directly affected by the massive outflow of tailings from Wafi- Golpu Mining Project and said that WGJV must consider other alternatives from the current proposed idea. WGJV maintains that the risks of tailings affecting the food chain for fish are extremely low and the conclusion is that Deep Sea Tailings Placement (DSTP) is not predicted to affect the coastal environment, productive surface waters, community health and fisheries. The commercial space company, Moon Express, has announced that it was setting up Moon Express Canada in order “to leverage Canadian space science and technology in the exploration of the Moon and its resources”. What surprised me about this revelation was that Moon Express Canada is apparently planning to mine the moon with its partner companies on board. Micro and nano space technology company Canadensys Aerospace Corporation, geological imaging company Gedex, LiDar systems developer Teledyne Optech, and mining technologies and robotics company Deltion Innovations, which has been outspoken about making Canada a leader in space mining. As I read the reports, I shook my head wondering how Canadian mining companies have been permitted to amass so much damage to the earth and human rights, much less now being enlisted to destroy the moon. Canada is no stranger to ecological destruction in its mining practices, within the country and also in Latin America. The Mexican Network of Mining Affected People (REMA in Spanish) has been outspoken in recent years over the problems of Canadian mining on indigenous lands. It has also criticised the use of the Canadian diplomatic corps to negotiate deals between Canadian mining companies and local leaders who violate the rights of the people to property, safe environment, open consultations with public consent, lawfulness and legal security. One company which has effected enormous damage on Mexican land is Goldcorp, which has broken national laws in purchasing collectively owned property in Carrizalillo, Guerrero and in Mazapil, Zacatecas. The encroachment of Canadian mining companies in Mexico today shows them operating 65 percent of the mining projects around the country, amounting to 850 mining projects at various stages of development from exploration through to construction and extraction. These mining projects have resulted in serious health issues, environmental contamination and destruction, the criminalisation of social protest, as well as the use of threats, harassment, smear campaigns, surveillance, arbitrary detentions and the assassination of political leaders and activists who speak out against these mines. Mariano Abarca was murdered after he opposed a Canadian mine in Chiapas where he was detained in 2009. In 2014 in Guerrero, Mexico, 43 students from the Raúl Isidro Burgos Rural Teacher Training College in Ayotzinapa, disappeared with no trace of their whereabouts, except for the remains of 19-year-old Alexander Mora Venancio. Many believe that the recent and nearby inauguration of Torex Gold’s El Limón-Guajes gold mine in Cocula, Guerrero is related to these students’ disappearance and murder, given that a mine manager had already been murdered, workers kidnapped, and communities protesting over broken promises, contaminated water, and health problems. Similarly the Honduran leader, Beta Cáceres, was murdered in her home on 3 March 2016 after recent protests against the construction of the Agua Zarca hydroelectric dam in Río Blanco and various schemes to grab land from the people against which Cáceres was fully mobilised. It is common to find these companies levelling criminal charges at the protestors – including sabotage, terrorism, rebellion, conspiracy, and incitement to commit crime. Because of the money these companies attract to the local economy, their power within the community is tremendous – and this includes their ability to manipulate and abuse the local laws and collaborate with organised criminals. In addition to human rights violation, there is grave ecological and biological damage produced by these Canadian mining companies. For instance, there is strong evidence of serious health impacts in Carrizallillo, Guerrero which was presented at the International People’s Health Tribunal in 2012 in connection with Goldcorp’s Los Filos mine, one of the largest gold mines in the world. These impacts included, but were not limited to, a high incidence of eye, skin, respiratory, and gastrointestinal problems, as well as a significant increase in premature births and malformations in newborns – and that’s just the shortlist. Mining within Canada is no less controversial. 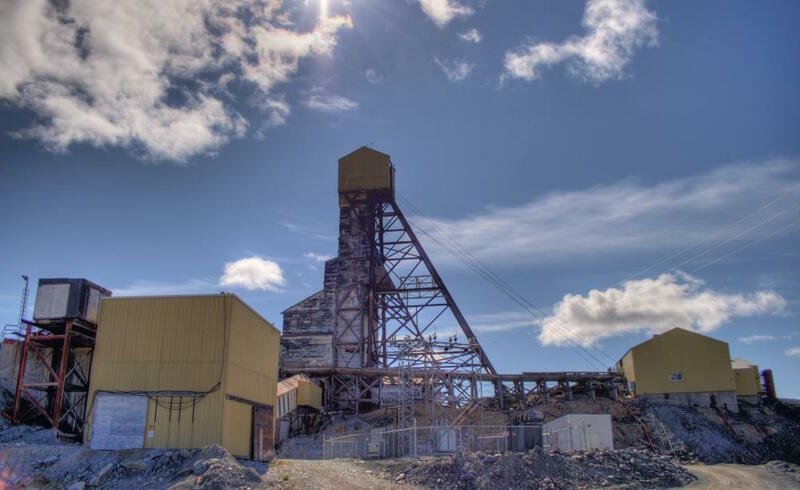 It was recently announced that Gahcho Kué, an open-pit mine, is expected to produce between 6.6 million and 6.9 million carats of diamonds in 2019, and each year thereafter through the end of 2021. Gahcho Kué is one of the world’s largest new diamond mines which opened in September 2016 on a remote mine site on the Canadian tundra just on the edge of the Arctic Circle, and is jointly operated by De Beers and Mountain Province Diamonds. While diamond mining is not Canada’s primary industry, Canada is the fifth largest diamond producer in the world and the ecological damage produced by diamond mining are well known. Uranium levels in nearby Kennady Lake are expected to increase by a factor of 11,000 during the mine’s operation due to acid mine drainage which causes damage to the ecosystem. Other common problems associated with diamond mining include erosion, formation of sinkholes, loss of biodiversity, and the contamination of soil, groundwater, and surface water by chemicals from mining processes. Badly executed diamond mining has caused serious problems ranging from soil erosion, deforestation, and the forced migration of local populations. There are also many cases of diamond miners having re-routed rivers and constructed dams to expose riverbeds for mining, all with disastrous effects on fish and wildlife. Just over the last few weeks, we have seen Canadian mining companies continue their expansion into Western Australia, India, Papua New Guinea, the Republic of Guinea, and into Yukon and Nunavut. While there seems to be little that individuals can do to stop these powerful companies, we need to address that the common denominator between mining and humans is our consumption. With this knowledge in mind, it is imperative that we push back against mining, conduct a mental inventory of what we purchase and consume, and that we ask ourselves which objects which do we absolutely need to live and which items can we live without. In the absence of an ecological revolution, the future of our planet depends on our ability to consume less.